This bracelet from Mikimoto takes its cue from the ocean. Hues of blues grace sapphire rondels made of 18kt white gold, separating groupings of Akoya pearls measuring 7mm. The signature bow clasp with diamonds and "M" charm round out the features of the piece. 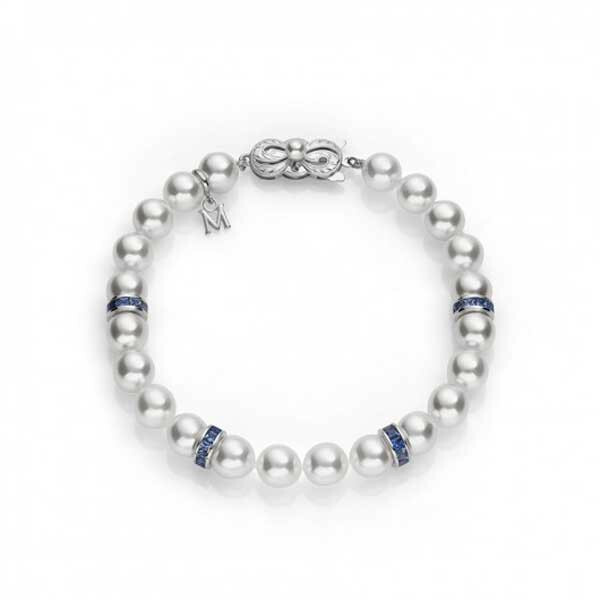 This Mikimoto bracelet is innovative and has great visual interest.